"The seventh time the servant reported, “A cloud as small as a man’s hand is rising from the sea.” So Elijah said, “Go and tell Ahab, ‘Hitch up your chariot and go down before the rain stops you.'" Remember that story? It feels incredibly personal to me in this season of my journey. Elijah, the mighty prophet of God, doing what he does best - predicting and proclaiming the power of God in the midst of waiting for a sign. Yes, the drought was coming to an end, he knew it. On the seventh visual attempt, the servant saw "the cloud as small as a man's hand". For him, it was rain; for me, it was wisdom. 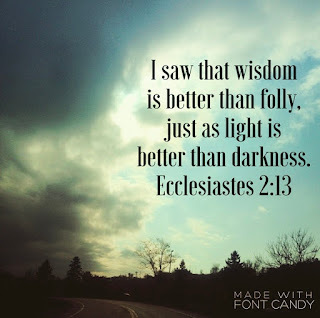 My fervent prayers for wisdom to help Olivia began several months ago. At first, it was a snippet, here, then there, but soon it became a billowing cloud that took my breath away. Making the changes necessary seemed to move in slow motion, like a slow-moving storm with fiery lightning and loud claps of thunder. 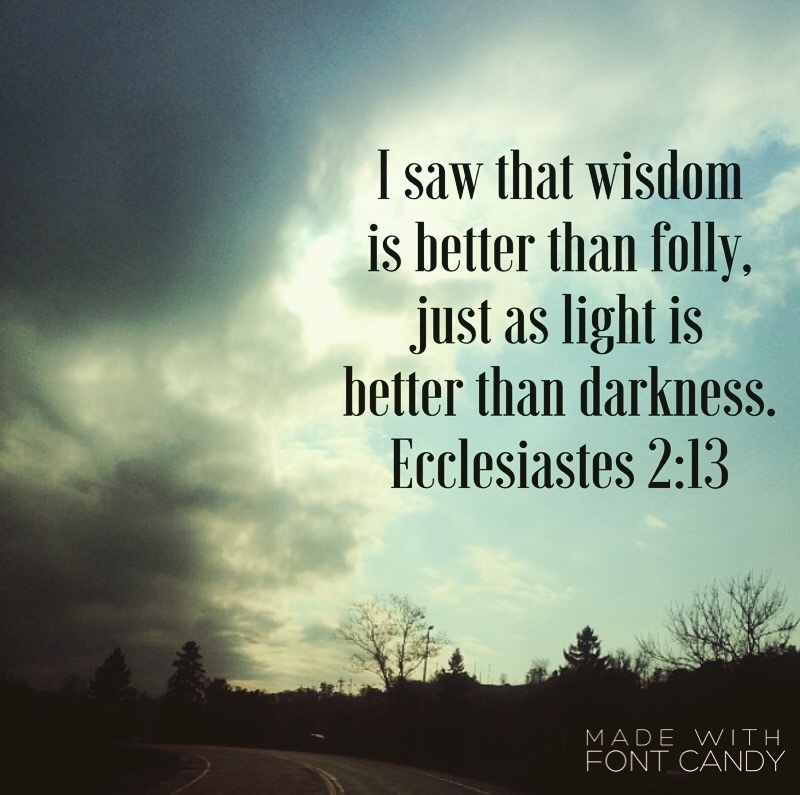 Have you ever felt like you have wisdom on a situation, but struggle to move forward in that wisdom? Does that make sense? What interests me about this particular scripture is that it happened the "seventh" time the servant looked outward for any sign. Have you ever wondered what the scriptural meaning or symbolism of certain numbers are? For instance, seven is the number of completeness and perfection -- three is the trinity of the persons of the Godhead, five symbolizes grace, eight being a new beginning....etc etc. Where am I going with this, you ask? Well, every year I would search out the meaning for the corresponding year of my sentence to Olivia's suffering. Each year would come, and my reality seemed to be the opposite of that year's meaning. Year twelve, in my definition, was the beginning of the fall; thirteen I was cast in a shadow of confusion and chaos. Fourteen, fifteen and sixteen were represented by deep division and hopelessness. By year sixteen I knew I had to get the fear under control. Why did I wait so long? God's Word says "love cast out all fear". Love. To love is easy......right? To love a child who suffers intensifies the meaning of love....and fear. It's heartbreaking but it is a wise teacher. For me, fear has been a big one. 2 Timothy 1:7 says that God did not give us a "spirit of fear". Intellectually I understand this verse, but applying it and keeping fear out of my heart was another story. Seizures are scary. Uncontrolled seizures instill a fear like no other. Who likes something that is uncontrollable? They are ruthless, they are relentless and they do not play by the rules. They are thieves. They mock in their ability to control. They destroy everyday moments and seek to prove their vigilance and dominance. Even if I knew intellectually that the "spirit of fear" I was feeling daily was not from God, I was defenseless in eradicating it from my thought process. I tried so hard to operate without fear but I always lost my way. Sure, scripture counsels to take your eyes off your circumstances; but seizures demand your undivided attention. Fear distorts and does it's best to define. Oh, if I could only have a nickel for every piece of "well meaning" advice I have been given along the way (as my heart was gripped by fear) I would be a rich woman. A couple of my favorites have been, "God has a plan for Olivia's life"(i.e. whatcha worried about), or "Well, you get what you get. ", or "At least you have her". My humility remains quiet, as my spirit begs to scream. I realize that their logical comments lack the depth of experience...I know. I get it. Intellectually, we can say a number of logical truths that are quickly dispelled once it's your heart on the testing train. Logic, in many cases, is the absence of personal fear, but can accompany pride. Fear is impatient, and unkind, while envies and boasts, it is arrogant and rude. Fear insists on its own way, it is irritable and resentful, rejoices at wrong doing rather than in truth. Fear bears nothing, believes nothing, hopes nothing endures nothing. Fear will end. In reality, my vulnerability does not stop with Olivia. I am also sharing my vulnerability to you, my readers as I choose to walk out this journey with you. I am vulnerable in disclosing how it is I keep on believing for a healing that to many seems impossible. I also feel vulnerable to God's leading. For instance, after the full Exome genetic testing results came back completely normal, the geneticist referred me to several doctors at Mayo. Excited for the new doors God was opening, I recently spent 5 days traveling back and forth to Rochester to meet with the best and the brightest. I thought there would be answers to some of the "pieces to her puzzle" I felt were revealed in that rain cloud of wisdom. As I look back on the blur of all those appointments, I see the systematic slamming of each one of those doors. All four specialists rebuked any possibility of understanding Olivia's "illness" and their inability to provide any treatment for her "rare" disorder. Although one of the doctors ran some blood work to confirm or deny an existence of autoimmune possibilities ( this blood work returned completely normal), the rest simply looked at her (with no examination) and confirmed there was nothing they could do. My struggle with this whole charade moves past fishtailing down the middle of southbound Highway 52 on some invisible black ice. I question why on earth the doors were open in the first place. My vulnerability to love, and Trust in that Love gets weak and seeks to question His leading. The weaker I get, I begin to wonder if there was a carrot on a line at the end of a very long stick. Uncle already. So. The only thing I can do is to go back to that familiar word and command that has kept me going for 17 years. Trust. Its the only thing I can do. Trust in His Love. "Only those who love are fearless. Love seeks to restore....So we must Love fearlessly" Lisa Bevere. Remember Elijah from the beginning of this writing? He was a prophet and still struggled with his feelings and emotions. He felt fear and loneliness. God, however, reminded him that He has work for him to do even while feeling like a failure. One commentator explained a lesson from Elijah's life. "We are never closer to defeat than in our moments of greatest victory". Satan instills the fear. Satan is the thief and our enemy. Yes, we do "Get what we get"; but, sometimes what we get gets stolen from us. We are now in year 17. What do you think 17 represents? Overcoming the enemy and complete victory.